Searles Graphics Deploys New Website for Patchogue Village! 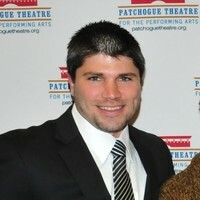 The Village of Patchogue just got a makeover courtesy of Searles Graphics! 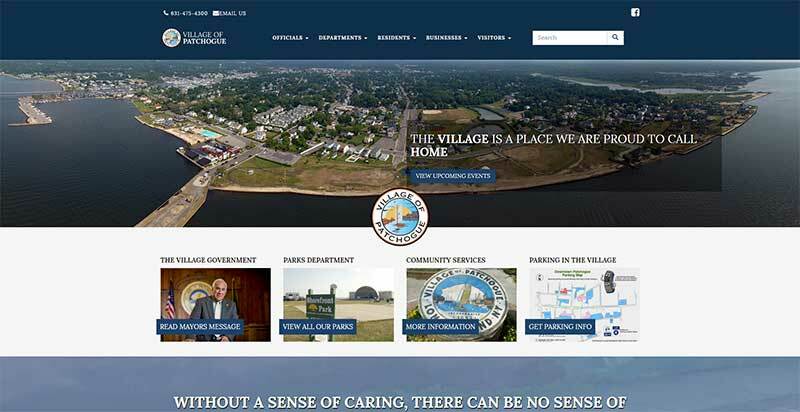 This week, we pushed up the brand new Village of Patchogue website that was custom designed and built right here at Searles Graphics. This represents the first step in an ongoing relationship between Searles Graphics and the Village of Patchogue to bring the visual brand of Patchogue in line with the incredible changes we've witnessed in the Village over the past 15+ years. Aside from the obvious aesthetic update, the primary goal of the redesign was access. We wanted to make sure anybody could quickly and easily access the information they needed at any time from any device. To accomplish this, the site was designed to be completely responsive to the size of the screen being used to access it. This means it will display just as well on an iPhone as it does on a 30-inch monitor. The navigation scheme was redesigned to prioritize information based on the type of user browsing the site (residents vs visitors, for example), and a search function was added to the main menu to facilitate the shortest path for users seeking answers to specific questions. You’ll also notice the striking panoramic aerial photograph utilized on the homepage was taken by our staff from a ground station at Shorefront Park using our drone. This is one of the latest investments we’ve made in our unending effort to provide cutting-edge products and services to our clients. While we’re proud of the work we’ve done so far, there’s still plenty more to do. Working with organizations that are funded by taxpayers means a constant balance between cost and value, something we’ve always focused on being the best at for all of our clients. This means there’s a list a mile long of items we and Village staff want to tackle, but prioritizing those items and choosing only those that provide a high return on investment to implement is now our focus. We’ve discussed a number of potential features and improvements, including comprehensive emergency alerting systems and other ways to improve communications between Village government and residents, visitors, and business owners. As with any website, this one is a constant work-in-progress, and we’re already working on improvements in structure, content, and design. We hope you like the new design as much as we do and look forward to hearing your feedback!